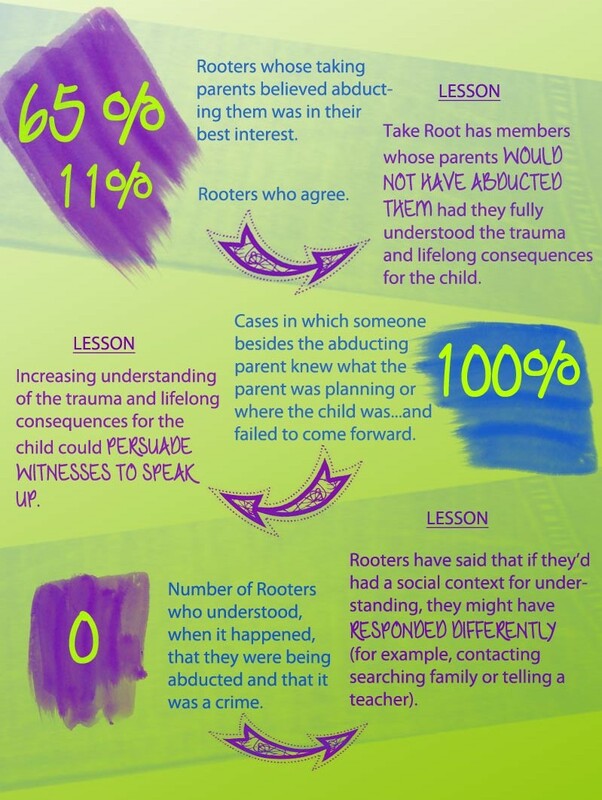 Take Root’s In Your Hands initiative uses the most powerful, experienced and insightful voice there is to educate others about the impact of family abduction: The voice of the abducted. 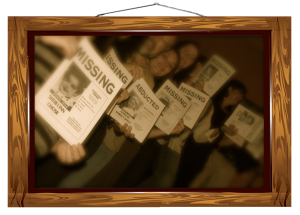 Family abduction is the most common form of child abduction in America, with profound and frequently lifelong traumatic impact on its victims. So why is it a crime against children that remains laden with misconception and myth? Take Root believes that one culprit is a persistent lack of child-centered data and testimony. Rather than framing the crime as an act of ABDUCTION, the story too often becomes that of a custody battle between warring adults. Take Root’s In Your Hands workshop uses firsthand testimony from our membership of former missing children alongside groundbreaking data and illuminating new victimology theory to help audiences understand what happens to a child who is abducted and hidden by a parent. The workshop not only sensitizes multi-disciplinary service providers to the realities of family abduction, it provides an approach to differentiate cases calling for an urgent law enforcement/missing-child response from more benign forms of custodial interference. Use the sign up form below to be notified when the online In Your Hands materials become available. Sign up below to be notified when In Your Hands materials become available. Your information will not be shared nor used for any other purpose (so use the mailing list sign up in the right-hand column if you would also like to join Take Root's general mailing list).